Looking to buy hair dye containing henna? Check out our Organic Hair Color! Henna will add a reddy-orange rinse to your existing hair color, so blonde will go red/orange, brown will go auburn, black will have a slight reddish tinge to it. It will only darken your hair, not lighten it. It makes my dark brown hair go a rich red-brown (orange in the sun). Henna is a completely natural, herbal hair color that will make your hair go heavier, glossy and shiny. It conditions the hair by binding to the keratin proteins and coating the hair. It thickens hair, makes the hair shaft smoother, and generally makes the hair stronger and more resistant to breakage. It also protects hair from harsh UV rays. It also reduces dandruff. Henna is astringent so it tightens the scalp’s grip on hair, making hair less likely to fall out. Henna is by far the most popular natural colorant to get red hair. When applied to dark hair, it lends a beautiful red tint to the hair. Henna powder is readily available in stores. It is green in color. Apart from its coloring properties, it also makes hair softer, thicker and silkier to touch. It acts as a natural conditioner. Henna powder, from the Lawsonia inermis or Mignonette tree, has been used for over 6000 years to dye hair. It has also been used for skin decoration, and to dye materials. The ground up leaves of the henna plant makes a green powder. When using Henna the amount of color shade depends on the length of time it is left in the hair and also how often it is reapplied. To make the dye, combine 2 tablespoons crushed henna leaves with one cup just tap water. Let the herbs soak in the water overnight, and strain in the morning. Apply to the hair and allow it to set for at least 3 hours. Put on a shower cap to retain the moisture. Shampoo and condition your hair as usual. You can add freshly brewed coffee and egg yolk to provide extra nutrition to your hair. 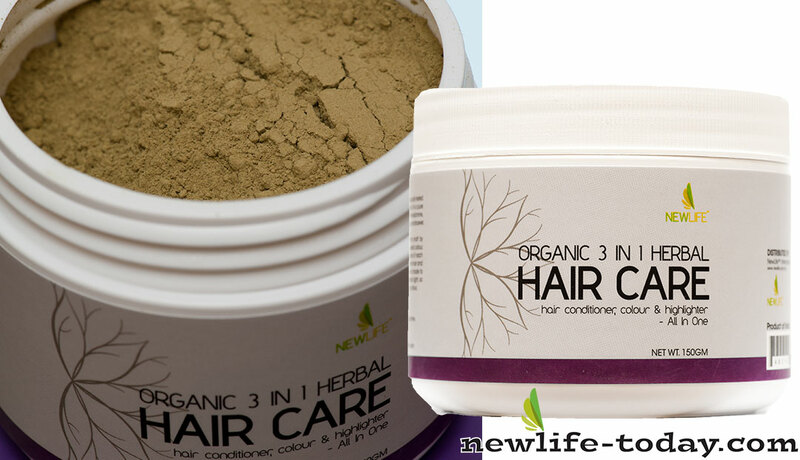 Apart from being an organic hair coloring agent, henna is also a natural hair conditioner.